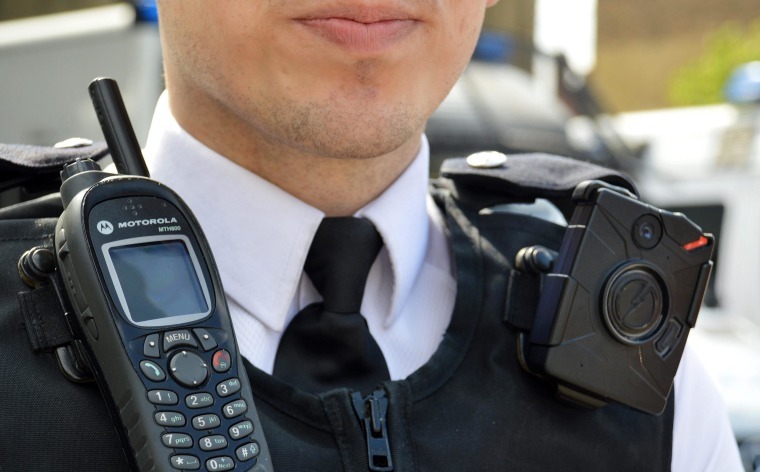 In London, 500 police officers will hit the streets on Thursday armed with wearable cameras. The Metropolitan Police Service (MPS) is not the first police department to try this. Cops in Cincinnati, Oakland and Rialto, California, have all been part of trials involving wearable Axon cameras built by Taser International, the company famous for making electronic self-defense weapons. But all of those trials involved only a few dozen officers. London residents in 10 boroughs will have to get used to law enforcement walking around the city with smartphone-sized devices clipped to their chests. In the past, civil rights groups have raised questions about surveillance, while some police officers have worried about the stress of being constantly watched. After a judge ordered the NYPD to test wearable cameras in the wake of controversy around stop-and-frisk, former mayor Michael Bloomberg said at a press conference that the cameras would be "a nightmare" because they would show parts of police interactions out of context. Other police departments, however, have been enthusiastic about wearable cameras. The Rialto Police Department claimed that citizen complaints dropped 87.5 percent during its experiment. London is at least used to surveillance. A 2012 study by Big Brother Watch found that an average London resident could expect to be recorded by 300 closed-circuit cameras in a single day.